Boschman Technologies – recently re-branded as Boschman Advanced Packaging Technologies – just announced a milestone in the ag-sinter market for electrical vehicles. NDC International represents Boschman, an innovative company founded in 1987 and located in the Netherlands. Boschman is a high-end niche player within the semiconductor packaging equipment sector providing full production solutions specifically in transfer-molding and silver sintering die-attach, including package development and assembly services. Over the years, their cutting-edge technologies and full-service solutions have made Boschman a “go to” partner in the ag-sinter market for electronic vehicles. 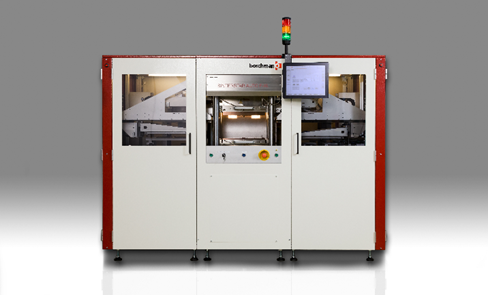 In 2014, Boschman was first to market with their proprietary manual industrial sinter platform – the Sinterstar Innovate-F-XL. Over the next three years, Boschman continued to expand their offerings launching a robust line of fully automated machines, plus in-house support and assembly. Growth accelerated rapidly in 2018 and now they are recognized by the leading companies in the field of automotive power electronics. Boschman recently reached a milestone of more than 40 installed systems and an estimated market share of over 75%! In addition, they have received recent orders for ag-sinter equipment from ON-Semi, Siemens, Fraunhofer IZM, Fraunhofer IISB, and Robert Bosch. In addition to ag-sintering and film-assist molding, Boschman also specializes in package development for power modules. We are proud to share that a number of large customers have partnered with Boschman to develop state-of-the-art power module packages and provide prototypes. Boschman is definitely the company to watch! Contact Kevin Hartsoe at (215) 355-2460 to explore how Boschman’s offerings can go to work for you! Check out Boschman’s sintering systems on our website – click here.